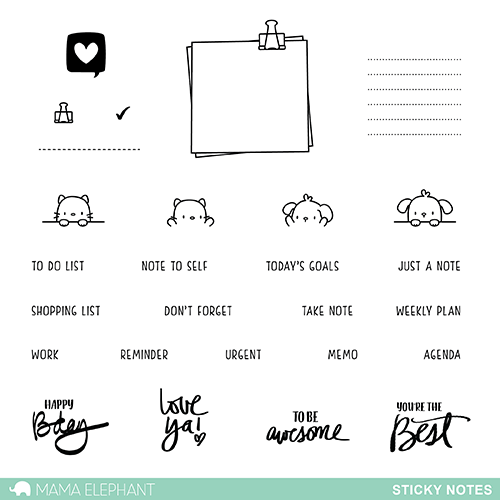 Today we are introducing Sticky Notes. The focus of this set is for planners, but since we're not planner people we brainstormed this design so that it is versatile for cards and scrapbooks too! 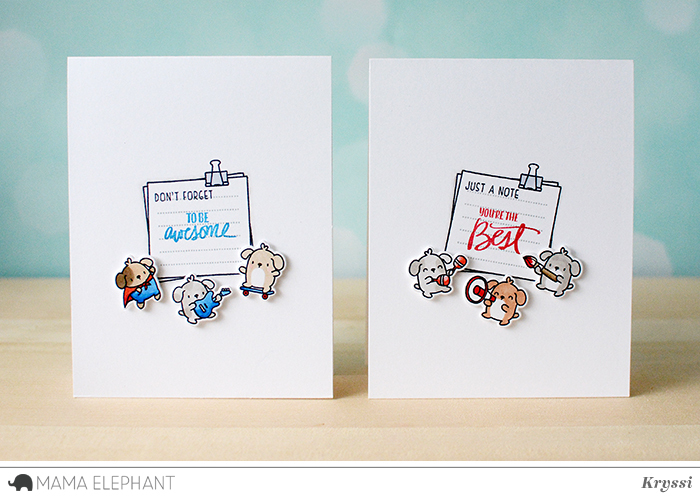 The cuties form Little Dog Agenda and Little Cat Agenda makes a special appearance too! Here are my clean and simple cards using Sticky Notes. So easy, so fast, so cute! Oh no, you didn't, Mama Elephant... THESE ARE SO ADORABLE! Oh so cute! Can't wait!! eeek! soooo adorable. 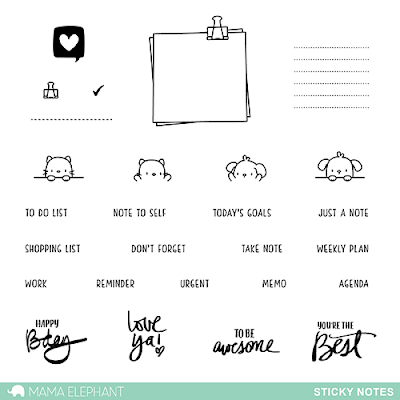 Totally in love with this stamp set. These are cute!! LOVE this new stamp set and paired with the kitties and the dogs-fabulous!! What fun little reminders. Lov'em. Oh my goodness! This set is adorable!!! Ok - these are just awesome! Oh, so gorgeous, what a great stamp set! Love the cards - they're so cute! I love, love, LOVE the new wishing stamp set and the frames.